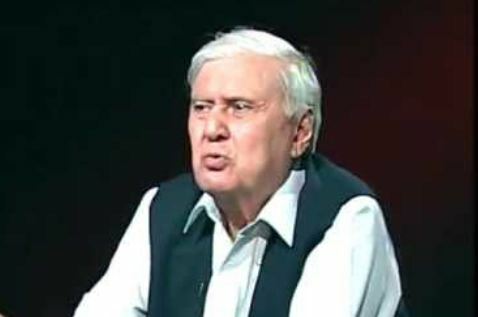 CHARSADDA (92 News) – Chief of Qaumi Watan Party Aftab Khan Sherpao escaped a suicide attempt on his cavalcade near Charsadda on Thursday. According to details, a suicide bomber tried to hit his convoy when he was passing through Omerzai area after attending Alamzeb Omerzai’s death anniversary. The QWP chief remained unharmed, however, one police personnel embraced martyrdom and two were injured in the attack. Prime Minister Nawaz Sharif strongly condemned the suicide attack. The PM extended condolences to the family of the deceased police official and sought report into the incident.